Hayley Young. PICTURED: R.D. Merrill Company Chairman and CEO Charles Wright, third from right, with company leaders. in the 1890s, Richard Dwight Merrill built a business based on timber. Six generations later, the company he built, R.D. Merrill, has 1,700 employees and operations in timber, retirement homes and property development. Merrill’s great-great-grandson (and the company’s current chairman), Charlie Wright, took the first step toward diversification in 1993 when he built Merrill Gardens into a national operator of retirement homes. The company’s senior housing and multifamily operations totaled 5,643 housing units in 2016, up from 4,345 last year. Merrill is adding new sites in vibrant, walkable urban areas close to amenities in areas such as downtown Ballard. Fifth-generation family member Cole Wright is leading a Shanghai-based effort to build senior communities in China. Another major thrust for the company has been real estate development. In 2011, the company launched Pillar Properties, a business that had $30 million in revenues last year. The business owns seven luxury multifamily properties in the Puget Sound region, including Stadium Place, a 500-unit, two-tower complex that has contributed to the revival of Pioneer Square. 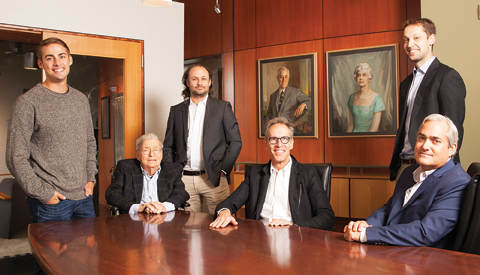 Each of the four major family group descendants is represented on the company’s board, and at least 52 family members attend annual meetings, at which management briefs them on business performance and strategy as well as potential career paths. Peninsula Truck Lines was founded in 1951 and began expanding geographically in the 1980s. It now has 250 employees and operates in Washington, Oregon and Idaho. After 38 years as president, Stan Vander Pol has stepped up to become board chairman, and nephew Brent Vander Pol, 30 years at the company, has stepped in as the new president. A majority of family shareholders work in the company and are expected to meet high performance standards. Peninsula’s revenues this year will be up 21 percent from three years ago.